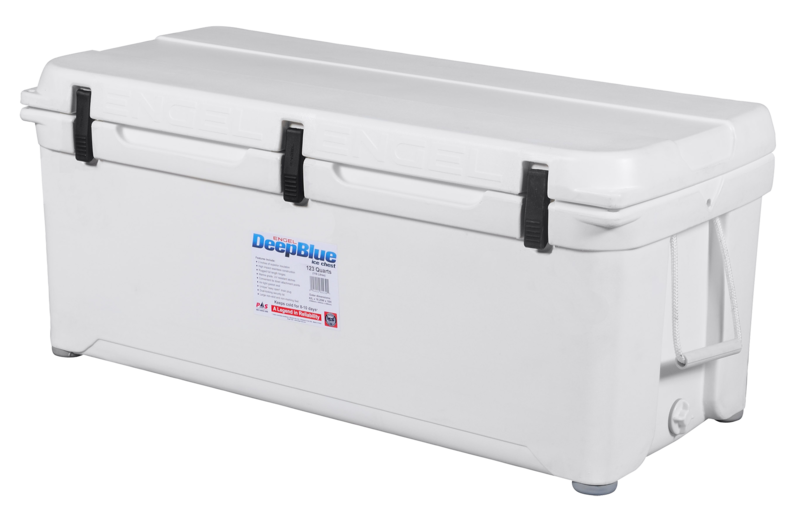 This Cordova Holiday Mix Special includes: two (2) Small 29Qt Gray Coolers, one (1) Small 28Qt Aqua Cooler, two (2) Small 28Qt Sand Cooler, three (3) Medium Coolers(Gray, Aqua, Sand), two (2) Large 86Qt Coolers(Gray, Sand), one (1) Xtra Large 126Qt Sand Cooler, two (2) Soft Side Backpacks, three (3..
DeepBlue Coolers have a tough roto-molded body filled with 2-inches of foam insulation on the bottom, sides and top. 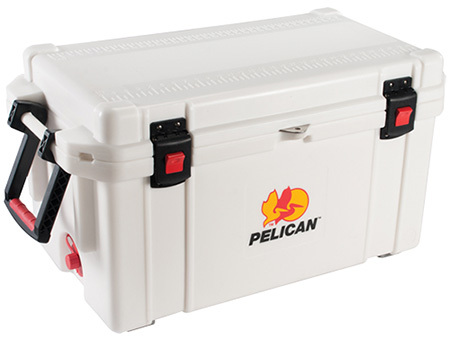 They have best in class ice retention, holding for 8-10 days, and is dry ice compatible. A sturdy non-skid lid is suitable for standing or sitting. 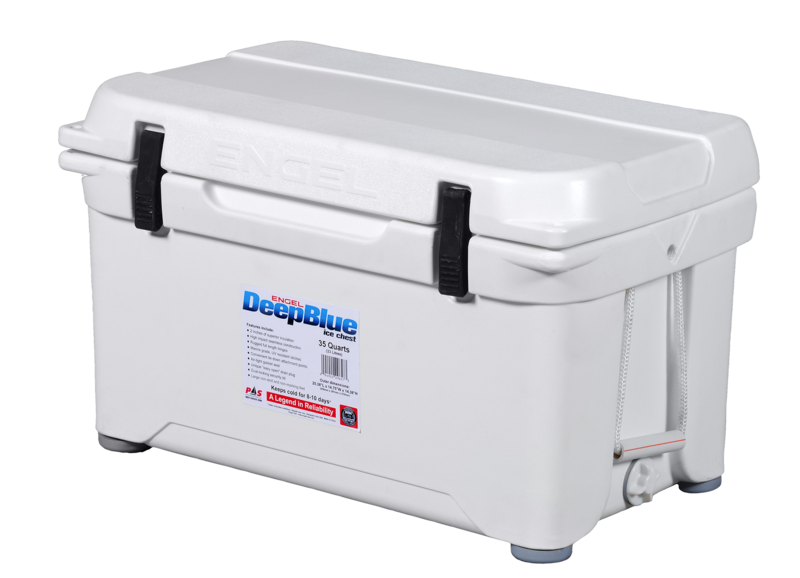 The air-tight, food-grade silicone..
Like all DeepBlue Coolers, the 123 has a tough roto-molded body filled with 2-inches of foam insulation on the bottom, sides and top. 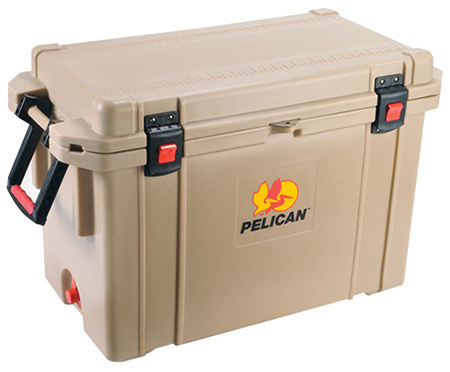 It has best in class ice retention, holding for 8-10 days, and is dry ice compatible. A sturdy non-skid lid is suitable for standing or sitting. 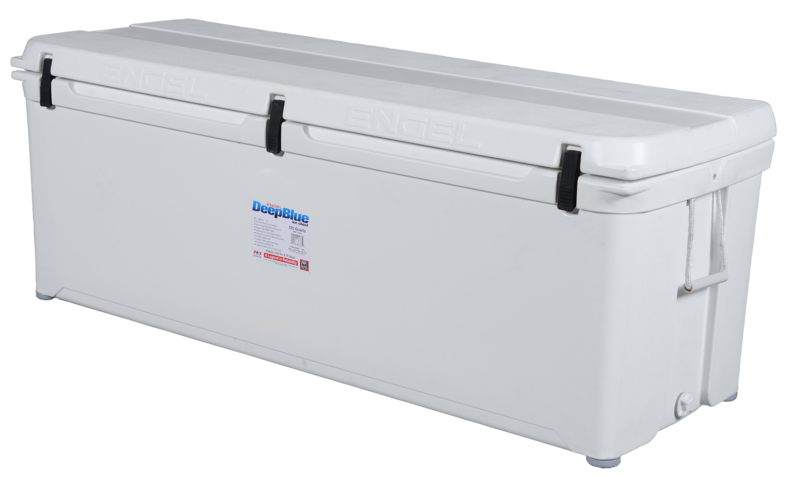 The air-tight, food-..
Best in class ice retention and overall performance with 2 inches of insulation all round. Holds ice for 8-10 days. 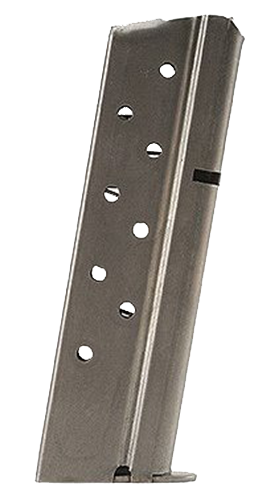 Flush mounted marine grade draw latches with stainless steel backing plates & screws. 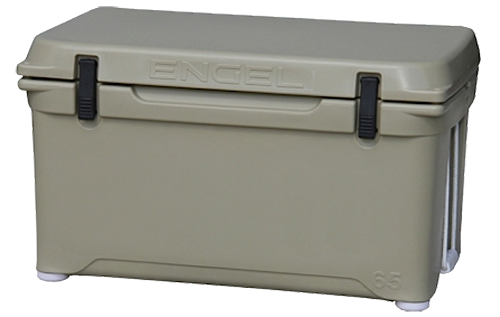 Unique air-tight food-grade silicone freezer gasket - keeps lid closed better. Sturdy non-skid lid.. 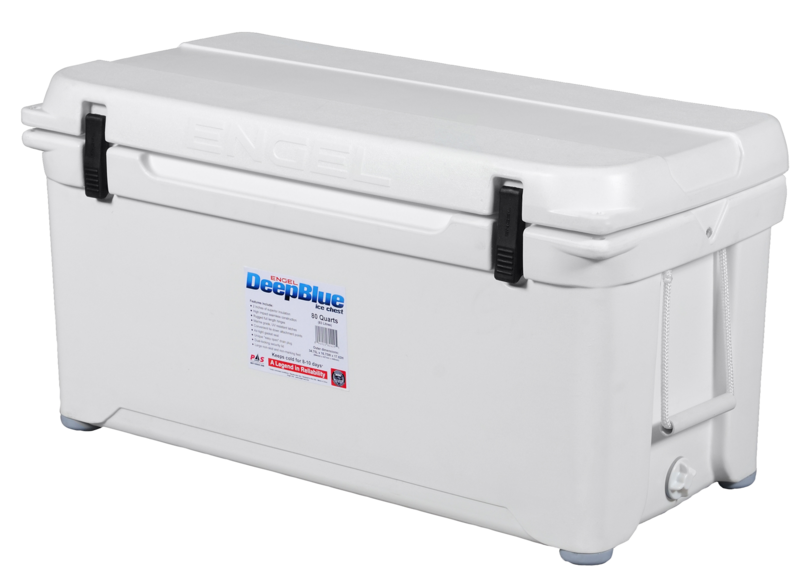 The Engel 25 DeepBlue Cooler is the perfect companion when you need the very best in cooler performance. 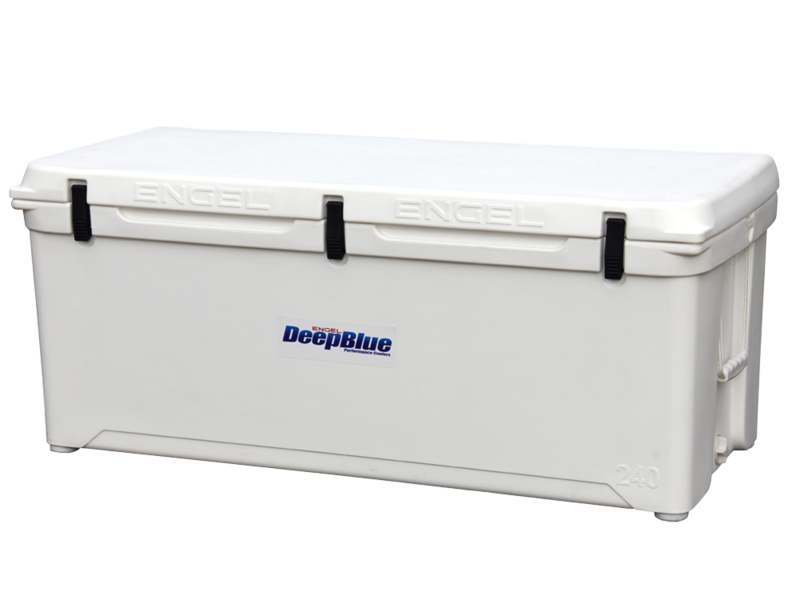 Built to the same specs as it''s bigger brothers, the Engel DeepBlue 25 goes wherever you go. 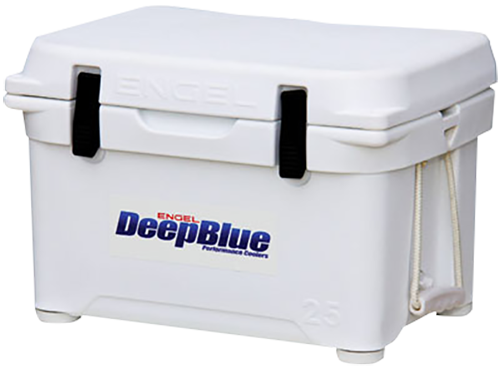 Like all DeepBlue Coolers, the 25 has a tough roto-molded body filled with 2-inches of foam insulatio..
Material: Roto-Molded PolyethyleneVolume: 25 QuartInt Dimensions: 14.5" x 9.3" x 9"Ext Dimensions: 20.5" x 14.25" x 13.8"Finish: TanWeight: 18 bsCooling Time: 8-10 daysLatch Type: DrawType Seal: Airtight Food-Grade Silicone Freezer GasketDrain Type: "One Twist" Opening Drain PlugLockable: ..
Material: Roto-Molded PolyethyleneVolume: 35 QuartInt Dimensions: 19.5"x 9.7"x11.1"Ext Dimensions: 25.4" x 14.8" x 15.1"Finish: TanWeight: 22 lbsCooling Time: 8-10 daysLatch Type: DrawType Seal: Airtight Food-Grade Silicone Freezer GasketDrain Type: "One Twist" Opening Drain PlugLockable: ..
Material: Roto-Molded PolyethyleneVolume: 65 QuartInt Dimensions: 23.5"x11"x11.5"Ext Dimensions: 29.8" x 16.8" x 16.5"Finish: TanWeight: 28 lbsCooling Time: 8-10 daysLatch Type: DrawType Seal: Airtight Food-Grade Silicone Freezer GasketDrain Type: "One Twist" Opening Drain PlugLockable: Y..
Material: Roto-Molded PolyethyleneVolume: 80 QuartInt Dimensions: 28.2"x11.3"x12.7"Ext Dimensions: 34.8" x16.8" x 17.63"Finish: TanWeight: 33 lbsCooling Time: 8-10 daysLatch Type: DrawType Seal: Airtight Food-Grade Silicone Freezer GasketDrain Type: "One Twist" Opening Drain PlugLockable: .. 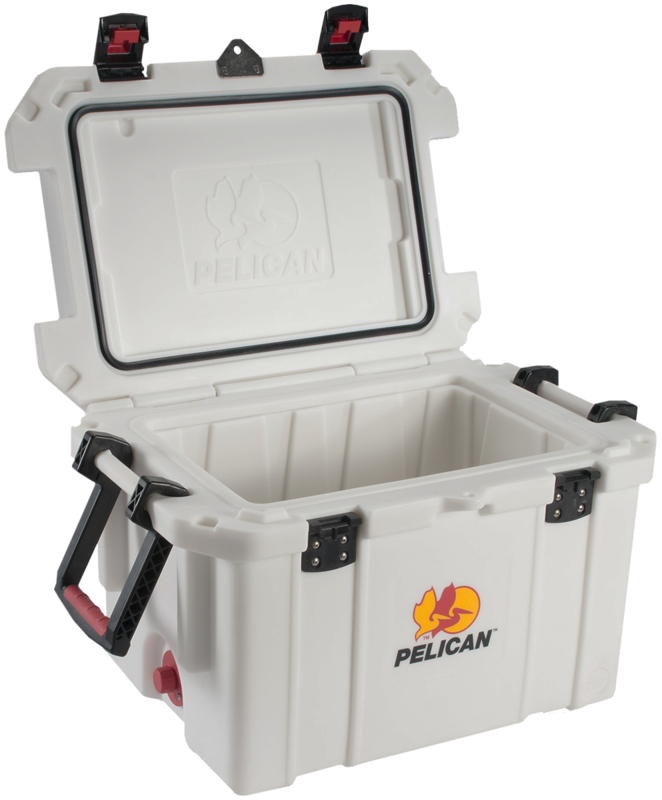 The Pelican ProGear 35QT comes with a dual handle system that has molded-in and hinged handles with press and pull latches that are wide for gloved use. 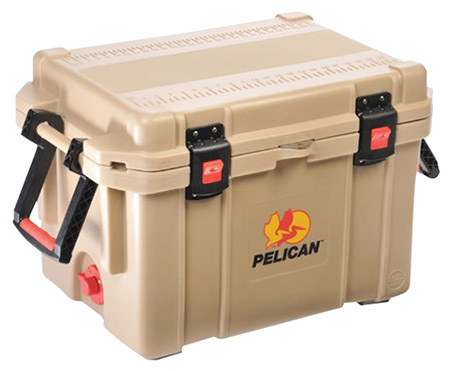 It comes equipped with molded-in tie downs and non-skid, non marking raised feet. 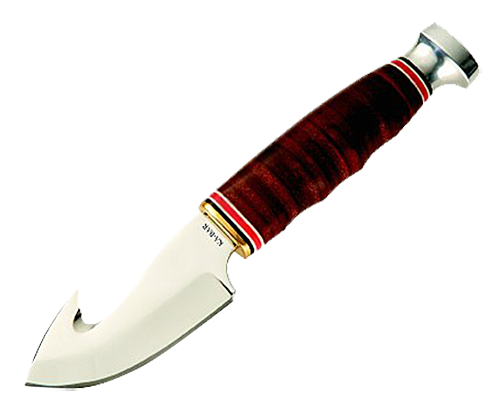 It has a molded-in lock hasp with a stainless steel place. It com.. 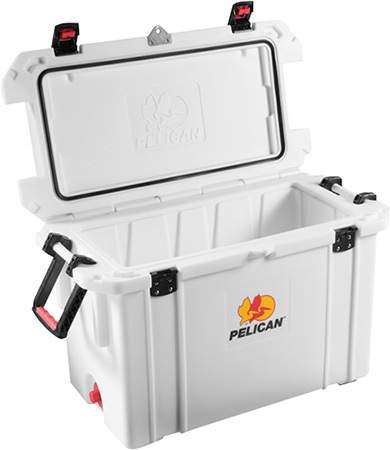 The Pelican ProGear 45QT comes with a dual handle system that has molded-in and hinged handles with press and pull latches that are wide for gloved use. 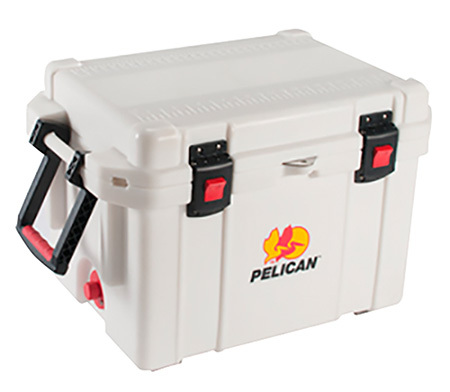 It comes equipped with molded-in tie downs and non-skid, non marking raised feet. 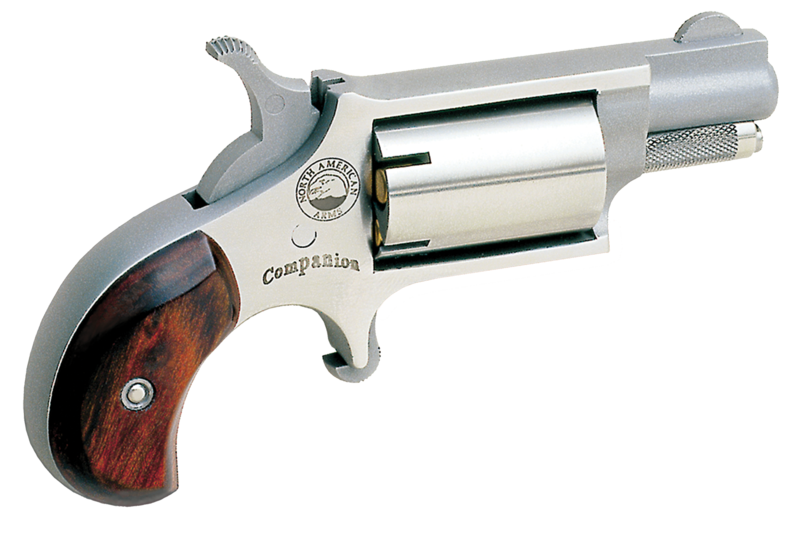 It has a molded-in lock hasp with a stainless steel place. 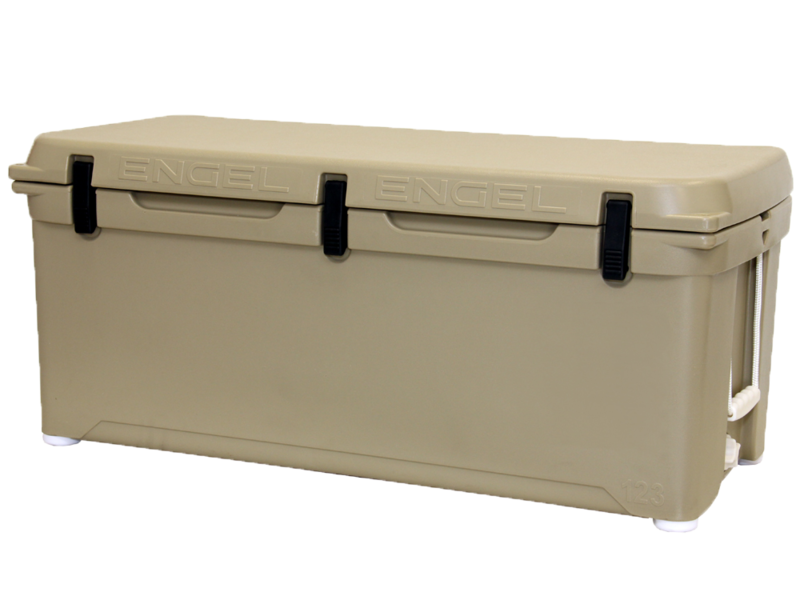 It com..
Material: PolyethyleneVolume: 35 QuartInt Dimensions: 15.75" x 12" x 11.5"Ext Dimensions: 26.41" x 20" x 18.75"Finish: TanWeight: 32.16 lbsCooling Time: 7-10 daysLatch Type: Stainless SteelDrain Type: Sloped DrainLockable: YesHandle Type: Molded and Hinged..
Material: PolyethyleneVolume: 45 QuartInt Dimensions: 19" x 12" x 12"Ext Dimensions: 29.66" x 20" x 19.25"Finish: TanWeight: 35.95 lbsCooling Time: 7-10 daysLatch Type: Stainless SteelDrain Type: Sloped DrainLockable: YesHandle Type: Molded and Hinged..
Material: PolyethyleneVolume: 65 QuartInt Dimensions: 26.5" x 12" x 12.5"Ext Dimensions: 37.16" x 20" x 19.75"Finish: TanWeight: 48 lbsCooling Time: 7-10 daysLatch Type: Stainless SteelDrain Type: Sloped DrainLockable: YesHandle Type: Molded and Hinged..
Material: PolyethyleneVolume: 95 QuartInt Dimensions: 27.34" x 12" x 17.62"Ext Dimensions: 37.75" x 20" x 24.88"Finish: TanWeight: 51 lbsCooling Time: 7-10 daysLatch Type: Stainless SteelDrain Type: Sloped DrainLockable: YesHandle Type: Molded and Hinged.. 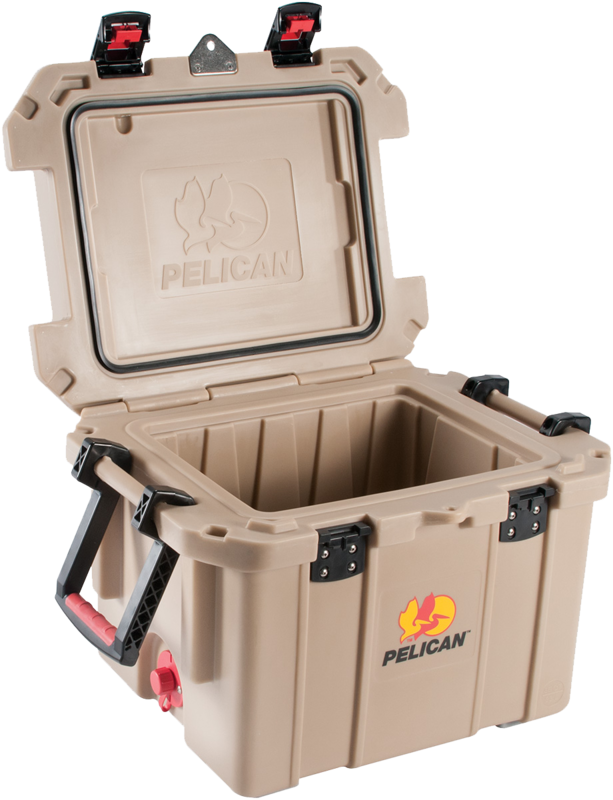 The Pelican ProGear 95QT comes with a dual handle system that has molded-in and hinged handles with press and pull latches that are wide for gloved use. It comes equipped with molded-in tie downs and non-skid, non marking raised feet. 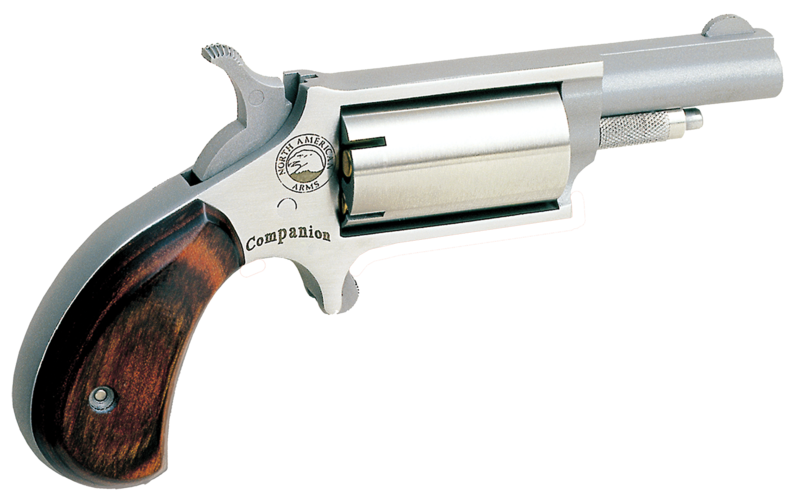 It has a molded-in lock hasp with a stainless steel place. It com..